The Town of Dante came to be through the Clinchfield Coal Company. The coal company built most every home and structure in Dante in its infancy. 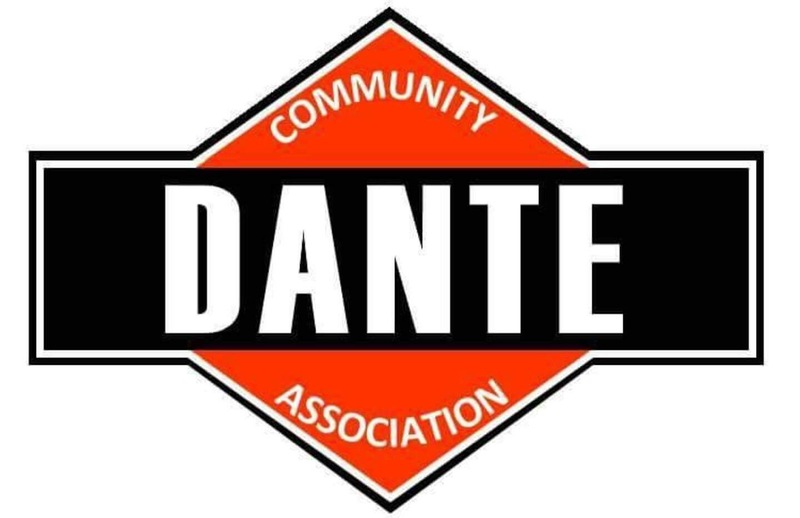 During its prime in the 1930s, Dante boasted a population of over 4,000 residents. It had the largest population of any community in Russell County for many years. Dante was also home to the first electrical power plant in Russell County. The Clinchfield Coal Company was formed by George L. Carter. Mr. Carter was an ambitious man who is credited with forming the Clinchfield Coal Company, as well as as being a major part of the formation of East Tennessee State University through assisting with its organization and selling his Johnson City, TN farm to the school for it to be built. Carter is also credited with the formation of the Clinchfield Railroad. He purchased the Ohio River Railroad and Charleston Railroad and renamed them the Clinchfield Railroad. Carter developed a plan to connect the railroads and built the 35 mile extension from Dante to Elkhorn City, KY that opened up the Midwest to the Eastern Seaboard. One of the first Vice-Presidents of Operations for Clinchfield Coal Company was Lee Long. Mr. Long helped grow Dante to its largest point of a population of over four thousand residents in the 1930s. Along with his work for Clinchfield Coal Company, Mr. Long served as a member of the Breaks Reserve and Reforestation Association which helped add the 130,000 acres of Breaks Interstate Park to the Jefferson National Forest. He also served as President of the Appalachia League of coalfield baseball teams. established by the Philips family. After the Civil War, local farmers began selling mineral rights, typically around 50 cents per acre, to coal companies. Eventually Turkey Foot was sold to the Tazewell Coal and Iron Company. With no railroad in or out of the area, the company failed to succeed. Thus, the land was sold again in 1901, at $18 per acre, to entrepreneur Stilson Hutchins. Hutchins quickly recognized the need for adequate transportation linkages. He organized the Lick Creek and Lake Erie Railroad and built a line down to St. Paul. In 1903, he began to build up the town and renamed it in honor of his business associate William Joseph Dante. The early company town was outfitted with a hotel, a company store, a steam-heat plant, and some basic worker housing. 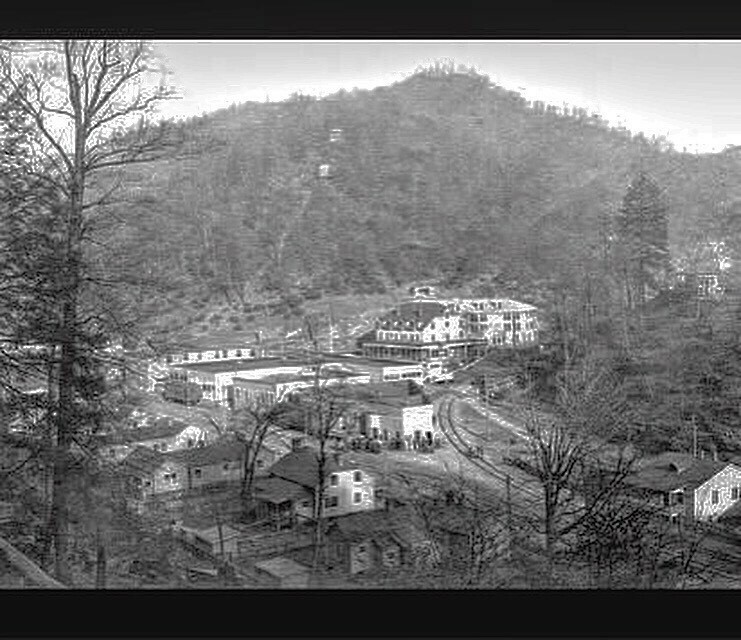 When the Clinchfield Coal Company organized in 1906, it established its headquarters in Dante and took over production of the town. Immigrants, largely Hungarian, Italian, and Polish, were already heavily employed to build the railroad and construct the mining camps. Dante quickly became one of the largest coal communities in southwestern Virginia, employing around 4,000 people at its peak during World War I, and even out-ranked St. Paul in size. 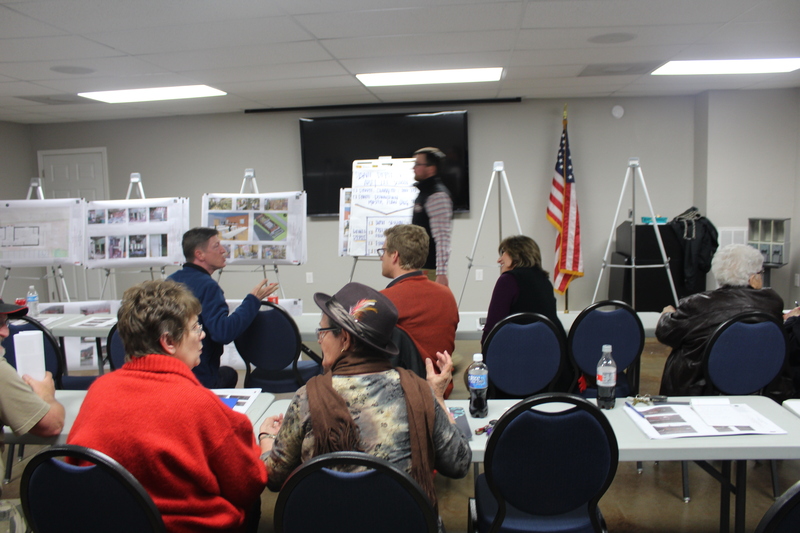 Dante rose in status to become the economic engine, and largest town, of Russell County. The company town was replete with black and white schools and churches, a company store, a pharmacy, a hospital, a theatre, a bank (later a beer garden), a baseball field, a depot, and rows upon rows of worker cottages, which were constructed along the creek branches and the railroad tracks that pass through the narrow hollows. “These hollers around here are very narrow. All the houses are built similar because it was a mining camp. On the backside of the homes was a creek, and then the row of houses and the road, the track, and another row of houses. So you just fit in right between two mountains.” Neighborhoods and quality of housing was divided into race or ethnicity (i.e. African-American, Hungarian etc.) and company status. The workers resided in smaller single or double houses near the mines, while managers lived in larger dwellings upon the hillside overlooking the town. The churches in town were particularly prominent, featuring Baptist, Presbyterian, Episcopalian, and Catholic congregations.